Round about 8 months ago, I release the last WordPress2Doc update. Some may have thought that the project has fallen asleep. But that is not the case. There is always something going on/changing on the codebase (available on GitHub) and today there is also a new “real” release. 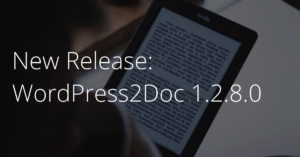 WordPress2Doc 1.2.8.5 – what is new? Feature: From now on, the document header can be formatted via the application settings. On request, the title, the author, date of the article as well as tags and categories can be displayed. Today, we will dive into some more theoretical stuff. The topic of this article will be field lengths of database fields for addresses. For every second database I create, I am faced with the same problem: How long / “big” do I actually make the database fields for addresses? So fields, such as first name, surname, street, e-mail address, etc. So far I have oriented myself to given requirements or old databases. But now I wanted to work up the topic once for all right. 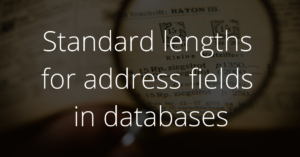 So the question is: Is there actually a standard for address field lengths? 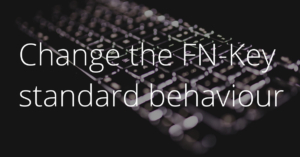 Today there is once again a short tip – this time for all owners of Logitech keyboards with a FN-key. Some time ago I was looking for a new keyboard. Criterion: Parallel usage of several devices – usually via Bluetooth. In the end the choice fell on the Logitech K375s. Stylish design, support for up to 3 devices that can be connected via Bluetooth or Logitech Unifying receiver. Only one small problem remained: the FN key. Today, we are looking into the field of business computer science. Since end of April, SIX has released the specification for the new Swiss QR Code according to ISO 20022. The Swiss QR Code is an integral part of the new Swiss deposit slip, the so-called QR invoice, which shall be implemented by all companies by mid-2018 at the latest. 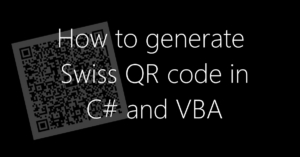 The Swiss QR code is placed in the so-called “number part with QR code” of the QR invoice. Unhandled Exception: System.TypeInitializationException: The type initializer for ‘System.Drawing.KnownColors’ threw an exception. —> System.TypeInitializationException: The type initializer for ‘System.Drawing.GDIPlus’ threw an exception. —> System.DllNotFoundException: Unable to load DLL ‘gdiplus.dll’: The specified module could not be found. However the error message had its origin not in my QrCoder, but in the interplay of the .NET core framework with the GDI Plus library. The .NET Core Framework tries to access “gdiplus.dll” when accessing “System.Drawing.GDIPlus”, which is simply not available on Linux.